Are you searching for the cheapest way to send parcels and cargo to India? Do you want to make sure that your cargo reaches safely and on-time from UK to India? Have you been subject to overcharging? AtoZ India Courier is here for you as your number one partner for safe and swift cargo services to India from UK. We provide a one-stop, customer orientated, hassle free and cheapest choice of sending parcels, couriers to India. Not only our customer service is exceptional and UK based, but our sending rates are extremely low too. 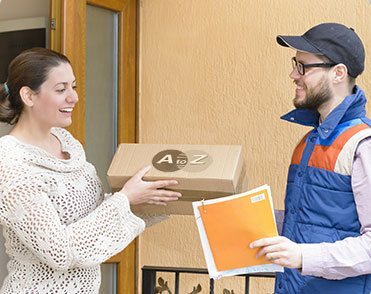 AtoZ India Courier has always been at the forefront of delivering excellent customer service and assisting our customers with any queries they may have. AtoZ India Courier is the only reliable delivery force when it comes to sending gifts, luggage, excess baggage and any type sea or air cargo to all cities of India from UK. AtoZ India Courier is your number online destination to send quickest cargo to India from UK. Our efficient mechanism ensures timely delivery to any city in India. We use sea cargo, air cargo and door to door cargo to India when delivering our services. Get in touch with us to send your gifts, parcels, luggage and excess baggage to India from UK at unmatchable rates online. We are proud of providing world leading cargo handling facilities from UK to any airport, any sea port, and any street address; anywhere in the India. Get in touch to see how you can use the cheapest online rates on shipping cargo to India.